Steven Burgess and the Dover High School 2009 Football Program of Dover High School in Dover, Ohio is the 2009 Silver Award Winner in the Public School / 501 – 999 Enrollment / Parent-Prepared Category. Jerrod Newland and the Greenville “Lady Wave” Softball Media Guide of Greenville High School in Greenville, Ohio as the 2009 Gold Award Winner in the Public School / 501 – 999 Enrollment / Parent-Prepared Category. The “Lady Wave” Media Guide placed second in balloting for the 2009 Grand Award. The St. Mary’s Lady Knights Booster Club and the St. Mary’s Lady Knights Basketball Program of St. Mary’s High School in Phoenix, Arizona is the 2009 Gold Award Winner in the Private School / 501 – 999 Enrollment / Parent-Prepared Category. Kerri Motter and the Waynesfield-Goshen Fall Sports Program of Waynesfield-Goshen Schools in Waynesfield, Ohio is the 2009 Gold Award Winner in the Public School / 501 – 999 Enrollment / Professionally – Prepared Category. 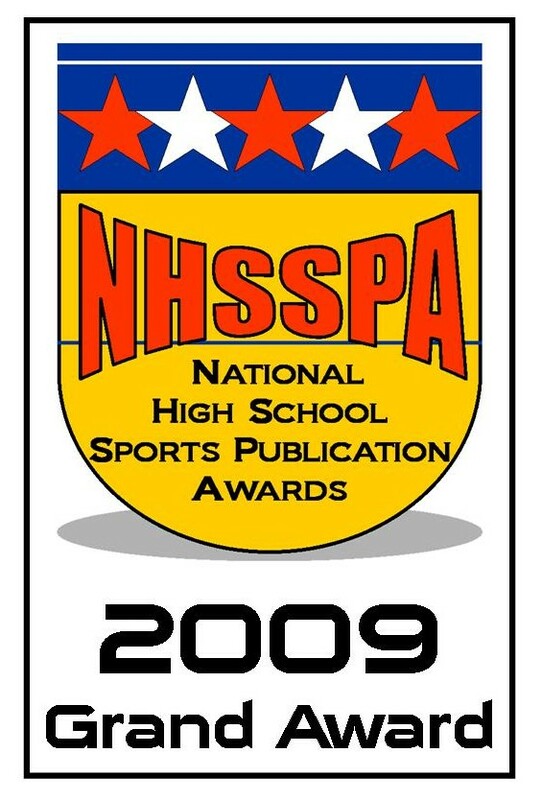 David Palmer and the Fall Sports Program of Piqua High School in Piqua, Ohio is the 2009 Gold Award Winner in the Public School / 1,000 – 1,500 Enrollment / Parent-Prepared Category. This is the second consecutive Gold Medal for David Palmer and Piqua High School. Michael Watts and the St. Ignatius 2009 Football Media Guide of St. Ignatius High School in Cleveland, Ohio as the 2009 Gold Award Winner in the Private School / 1,000 – 1,500 Enrollment / Student-Prepared Category. Sr. Lynn Winsor, BVM, CMAA, and the Sports Team Programs of Xavier College Preparatory in Phoenix, Arizona is the 2009 Gold Award Winner in the Private School / 1,000 – 1,500 Enrollment / Parent-Prepared Category. This is the second consecutive Gold Medal for the Sports Team Programs of Xavier College Preparatory. Chad Niccum and the New Castle Lady Trojans Basketball Program of New Castle Chrysler High School in New Castle, Indiana is the 2009 Silver Award Winner in the Public School / 1,000 – 1,500 Enrollment / Parent-Prepared Category. Bob Sansoe and the De La Salle Football Program of the De La Salle High School in Concord, California is the 2009 Gold Award Winner in the Private School / 1,000 – 1,500 Enrollment / Teacher-Prepared Category. Kimberly Connor and the Leonardtown Football Media Guide 2009 of Leonardtown High School in Leonardtown, Maryland is a 2009 Silver Award Winner in the Public School / 1,501 – 1,999 Enrollment / Parent-Prepared Category. Myles Wilson and the Spartanburg Viking Football Program of Spartanburg High School in Spartanburg, South Carolina is a 2009 Silver Award Winner in the Public School / 1,501 – 1,999 Enrollment / Parent-Prepared Category. Danette Sarah and Frank Wozny and the Walled Lake Western Football Program of Walled Lake Western High School in Walled Lake, Michigan is the 2009 Gold Award Winner in the Public School / 1,501 – 1.999 Enrollment / Parent-Prepared Category. This is the second consecutive Gold Medal for Danette Sarah and Frank Wozny and Walled Lake Western High School. 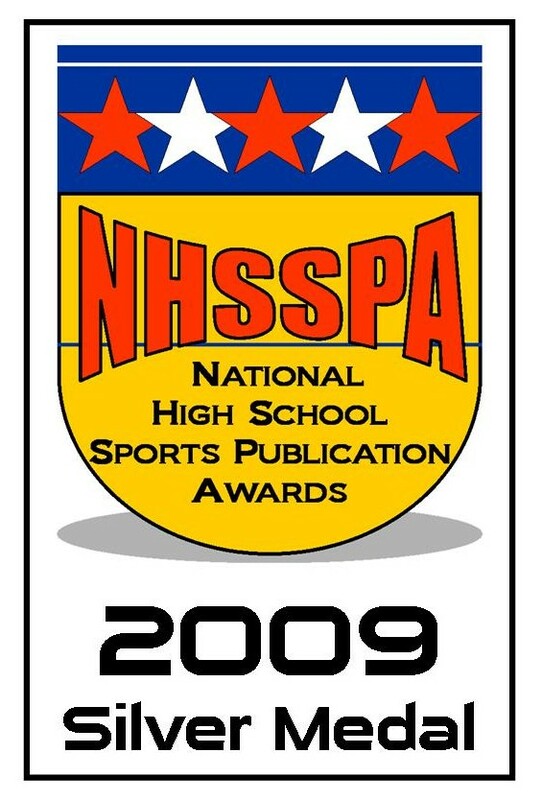 The Public Relations Information Bureau Staff and the All Sports Media Guide of Columbus North High School in Columbus, Indiana is the 2009 Gold Award Winner in the Public School / Over 2,000 Enrollment / Student-Prepared Category. This is the third consecutive Gold Medal for the Public Relations Information Bureau Staff and the All Sports Media Guide of Columbus North High School. Coach Juan De La Rocha and the Shenendehowa Varsity Hockey Booster Club and the Shen Hockey 2009-2010 Varsity Hockey Media And Fan Guide of Shenendehowa Central Schools in Clifton Park, New York is the 2009 Gold Award Winner in the Public School / Over 2,000 Enrollment / Parent-Prepared Category. Daniel Hilen and the Mason High School Fall Sports Program of Mason High School in Mason, Ohio is the 2009 Gold Award Winner in the Public School / Over 2,000 Enrollment / Teacher/Staff-Prepared Category. Kathy Topp and Jackie Iverson and the IHSA 2009 Boys Basketball Program of the Illinois High School Association in Bloomington, Illinois is the 2009 Gold Award Winner in the Public School / Over 2,000 Enrollment / Professionally – Prepared Category. Len Jankiewicz and the Lancaster (Game-Day) Program of Lancaster High School in Lancaster, New York is the 2009 Gold Award Winner in the Public School / Over 2,000 Enrollment / Alumni-Prepared Category. 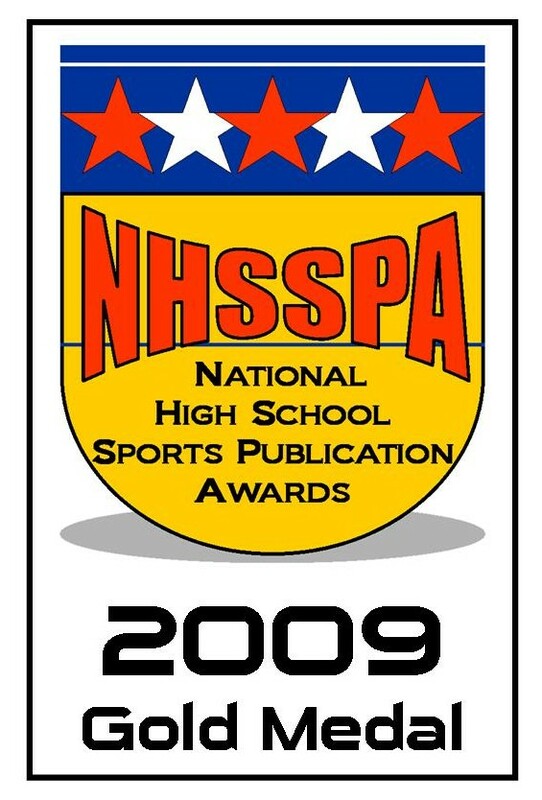 Our Congratulations to all the Winners – along with our invitation to compete in the next annual National High School Sports Publication Awards ! !